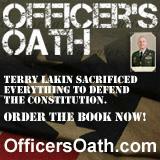 This section features key articles that are directly relevant to Terry's case and incarceration. Attention Mr. Trump…Restore-Promote and Empower – American hero’s…who were right! When will Congress act on the Obama fraud trifecta? What would Reagan do? Defend the Constitution, of course.